The Brother Martin Crusaders, in their first Louisiana tournament of the year, placed 10 wrestlers out of 13, and garnered five championships at the 13th annual Spartan Invitational to win the team title with 228.5 points. Champions for the Crusaders were Steven Shields, Stephen Rumney, Brad Guidry, Pierce Williams and Travis Viener. Patrick Evans placed second. Holy Cross finished 54 points behind the Crusaders with 174.5 points. Tiger champions were Michael Lundin, Cole Clement and Jake Rando. Placing second were Jacob Spahn, Beau Bush and Joey Foret. The Tigers, with the exception of Bush, needed their lighter wrestlers to "step up" if they were to challenge for team honors in Division I. They did just that. Third place went to St. Amant with 148 points. Clint Brownell and Joe Baluch, Jr. won titles for the Gators while Sage Nugent and Jordan Averett placed second. Comeaux proved to some to be the biggest surprise team of the day. 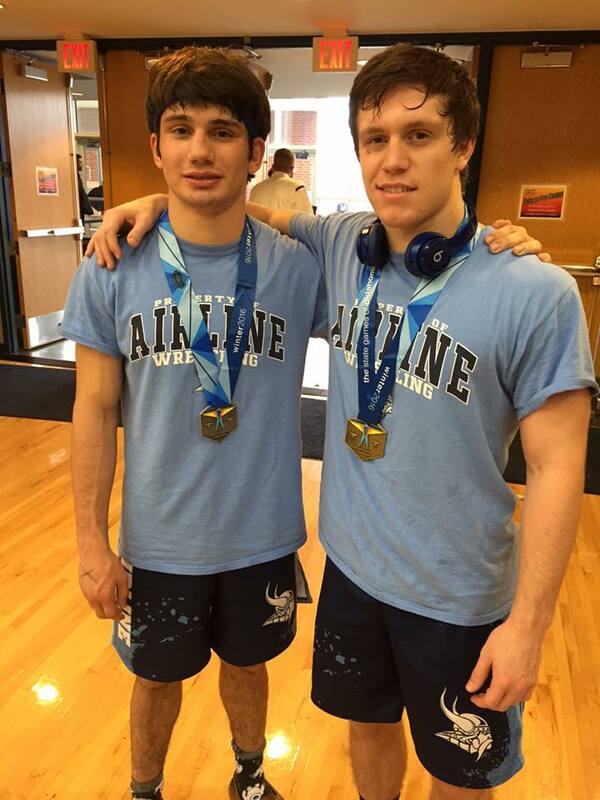 The Spartans placed fourth with 138.5 points and had runners-up in Pierce Richard and Jon Hebert, neither of whom were seeded. Remaining undefeated for the season (minimum of three events) were Shields, Rumney, Rando, Brownell, Viener, Baluch, Jr., Live Oak's Ethan Alphonso and Shaw's Matthew Blair. St. Amant's Clint Brownell secured his spot as the one to beat at 152 lbs. with a convincing 9-6 win over 2015 Division I runner-up Joey Foret of Holy Cross. Foret broke a 1-1 season tie with Shaw's 2015 Division II runner-up Brad Albarado in the semifinals. On his way to the finals Brownell scored a 15-0 technical fall a fall in 1:13 and another in 1:18. For his performance Brownell was voted the tournament's Outstanding Wrestler (presented by East Ascension coach Mike Bernard). It was Brownell's second OW award of the season. In a matchup between two 2015 Division I runners-up, Rumney bested Bush 7-4. Comeaux's surprising finish may indicate that Brother Martin's mastery may be diluted even more once Airline, Jesuit and St. Paul's are placed into a tournament mix. 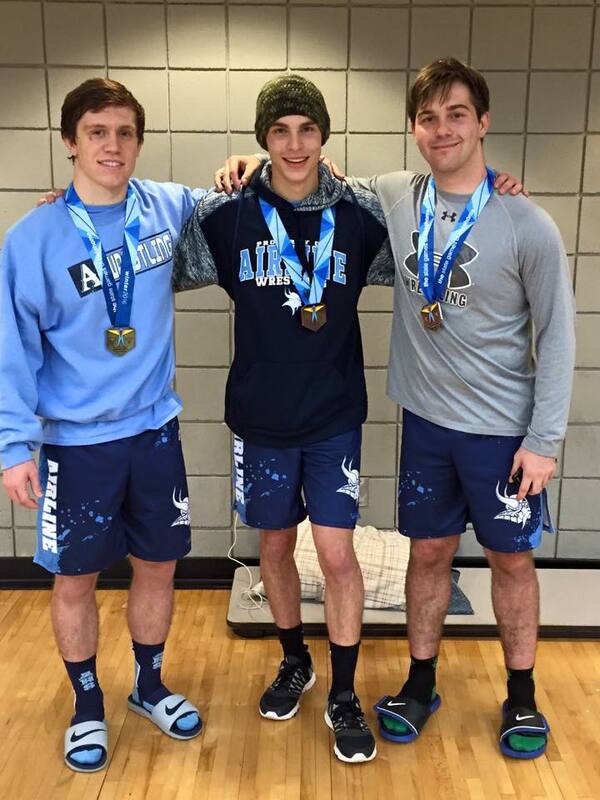 Airline most certainly would have a #1 seed at 160 lbs. in defending Division I state champion Christian Walden (see below). For the Blue Jays it is likely that Adam Larriviere, Joseph Dupre (as if 126 lbs. needs another 2015 Division I runner-up) and Guy Patron, Jr. would have been #1 seeds at the Spartan. St. Paul's probably would have had #1 seeds in Brandon Stein (106 lbs.) and Billy Harrison (138 lbs.). The Crusaders, however, will only get stronger when Luke Cotton, Taylor Gambill and Jacob Clapp return to the lineup, and they are still experimenting with some new starters. Christian Walden took home a 160 lbs. championship at the State Games of Oklahoma today (Wednesday) held at the Freede Center in Oklahoma City. In the finals Walden defeated Nick Mahan, an Oklahoma 5-A State Championships third-place finisher for MacArthur High School, 3-1. Tony Lococo placed 2nd at 145 lbs., falling to Choctaw High School's Jefferson Speer 11-8 in the finals. Kyler Barringer (138 lbs.) and Keegan Gilligan (182 lbs.) placed third for the Vikings. Javarious Jones (126 lbs.) placed fourth after losing in the quarterfinals to Oklahoma 6-A state champion Garrett Rowe of Choctaw, who won the event. After a December 1st tri-meet with Evangel and Byrd, Airline will host the Scott Pine Duals on December 5th. NEXT UP: A slew of dual meets are scheduled for December 1st and 2nd. The Trygg Memorial will be held on December 4th and 5th at Grace King. Brother Martin will travel to Memphis, TN, for the Blackhorse Invitational that weekend, and Jesuit, Rummel and St. Paul's will travel to Destin, FL, for the 3rd annual South Walton Border Wars.